It's Halloween in the USA, and we're celebrating by giving you a free Halloween virtual golf ball when you log in and play WGT – today only. Any WGT player that logs in and plays WGT today, 10/31, will receive one free Halloween Vapor Ball, featuring a spooky purple vapor trail, plus scary distance and spin! 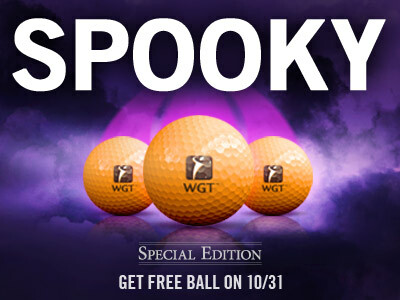 *Special offer available to WGT players that log in on 10/31, receive one free WGT Halloween Vapor Ball (L0+). You're so close to the weekend! Get through the end of the week with some of our most popular virtual golf balls free, today and tomorrow. 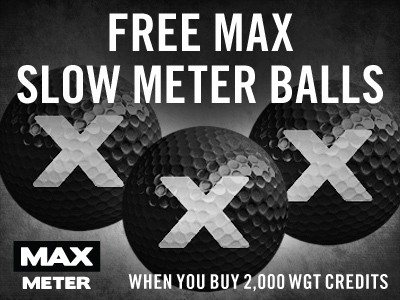 Get 3 free MAX Slow Meter virtual golf balls when you buy 2,000 or more WGT Credits, giving you good overall distance and spin, but with maximum amount of feel to give you a slower swing meter, making all your clubs easier to hit. Plus, Amateur tier and higher will get the MAX Slow Meter Balls with gold vapor trails to help you trace your shots through the air. 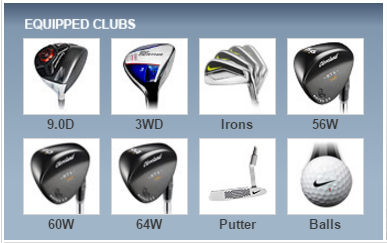 Use all your new credits to upgrade your other virtual equipment and play more paid games and tournaments for prizes. Note, the MAX virtual golf balls will automatically be added to your inventory but not automatically equipped. To play with the new golf balls, just open your Equipment and equip the new golf balls from your inventory. *Offer for players who buy 2,000 or more WGT Credits 10/29/15-10/30/15, receive 3 free MAX Slow Meter virtual golf balls (Hack) or MAX Slow Meter Gold Vapor virtual golf balls (Amateur+). Offer valid on one 2,000 or more WGT Credit purchase only. **And special for WGT players making their first WGT Credit purchase, get 3 free MAX Slow Meter virtual golf balls when you buy your FIRST 1,000 or more WGT Credits! 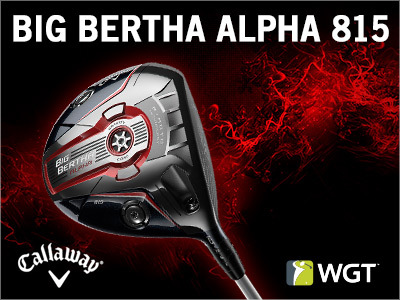 Get the new Big Bertha Alpha 815 Driver from Callaway, for more distance off the tee. Gaining yardage won't be a problem with the newest driver on WGT, that delivers more distance, forgiveness and lower spin to help you go #AlphaLong and improve your virtual game. Congratulations to Courtney01, the newest WGT Virtual Tour Quarterly Season Champion! Courtney01 came out strong with a birdie on hole 3 and an eagle on 4 to stay 2-UP through the first 5 holes. Competition held strong while fmagnets fought back, then made things interesting with an exciting comeback to even out the score on the 10th. Despite Courtney01's attempts to get ahead, fmagnets held strong under pressure to even the score again by hole 14. Ultimately, the match came down to the last two holes, where Courtney01 followed up a great shot with a birdie on 18 for the win and the 10,000 WGT Credit bonus prize. You can see all the highly skilled action for yourself, in the replay below. Congratulations to all the winners on the Jul-Sep Quarterly Season leaderboard! This is your LAST WEEKEND to get any Nike virtual putter in the Pro Shop 5 levels earlier than normal. Soon, these putters will return to their regular unlock levels, so level up now to take advantage of this special offer while you can! *Note: the levels currently shown in the Pro Shop are the new (temporary) level unlocks, they will return to their original unlocks (5 levels higher) after this weekend. For example, the Nike Method Putter (L46) is the promo level unlock, and it will return to the regular L51+ unlock soon. WGT Tip: Use Level-Up Boosts or XP Boosts to level up in the game to take advantage of this special offer while it lasts. Play CC Event #10 going on NOW through Fri, 10/23. Halloween is near and CC Event #10's pumpkin tees and flags add great fear! Ok, maybe not fear, but definitely fun. 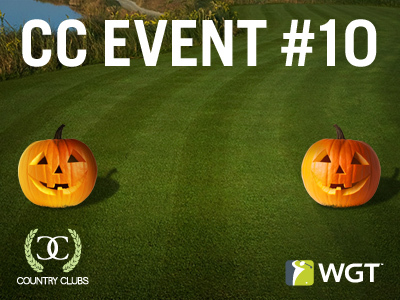 Compete against other country clubs for in-game rewards, club pride and NEW Halloween-themed pumpkin tee markers and flags. 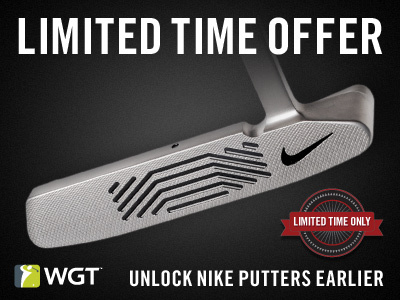 Right now, for a limited time only, get any Nike virtual putter 5 levels earlier on WGT! This is your chance to upgrade to a top-performing putter, 5 levels sooner than when they regularly unlock in the Pro Shop. Nike virtual putters offer more accuracy, precision and a slower WGT swing meter, helping you sink more putts and lower your scores. This special promo is only here for a short time, so don't miss out! Don't miss this championship match, streaming live on YouTube Gaming at 12:00 PM PT! 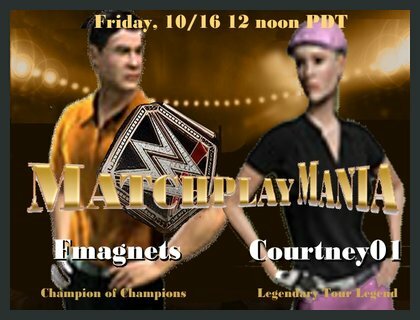 Tune in to watch Champion tier winner fmagnets compete against Tour Legend Courtney01 to see who will become the Jul-Sep Virtual Tour Quarterly Season Champion and win the 10,000 WGT Credit bonus prize. Why: Don't be THAT guy that misses out! Special thanks to WGTer andyson for the inspired fight card image! 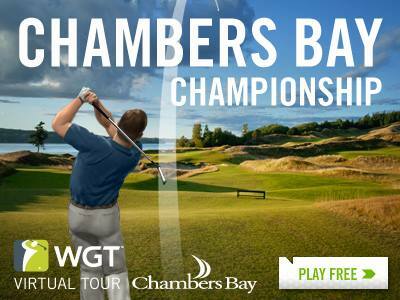 Champion tier fmagnets wins the Chambers Bay Championship, the Major tournament in the Jul-Sep WGT Virtual Tour Quarterly Season. With a final stroke play score of 164, fmagnets sits at the top of the Champion tier leaderboard, with Walk0flife close behind with 167 and manishgolfer9 with 172. New this Quarterly Season with the addition of the Champion tier, the top Tour Legend is facing off against the top Champion on the leaderboard to determine the final Quarterly Champion. Stay tuned for live streaming information for that match -- we think it will be a good one! 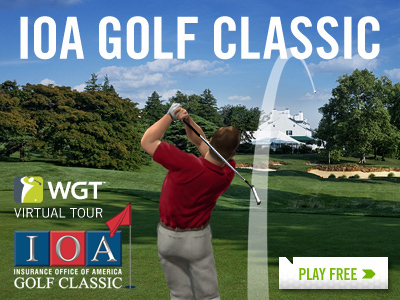 Don't miss the IOA Golf Classic this month on Merion, the first tournament in the Oct-Dec Quarterly Season. Post your unlimited Round 1 score by 10/26, then compete in the single-play second round, 10/27-10/31, to determine your final score. The top 70 combined scores in each Pro-Tour Legend tiers, plus the top 10 in the new Champion tier, will split a total purse of 200,000 Credits that accumulate to determine final leaderboard standings. Compete in the Hit It Long Par 5 Challenge now through 10/24, to test your long drive skills on WGT while you watch the 2015 World Long Drive Championship on Golf Channel. This special two-week stroke play tournament is a single round, unlimited play event hosted on WGT with partner, Golf Channel. And be sure to watch the World Long Drive Championship live coverage on Golf Channel, Oct 20-21.